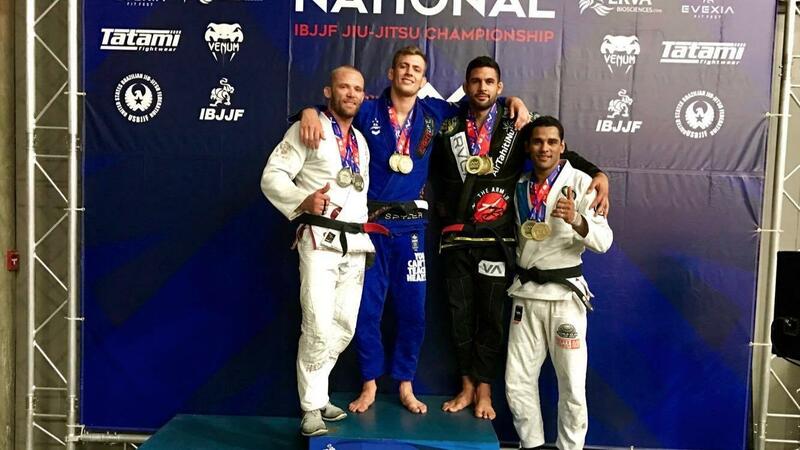 The news out of Las Vegas today is that Keenan Cornelius won double gold at the IBJJF American Nationals. After taking silver in the heavyweight no-gi division yesterday. In a twist of events, Cornelius faced his teammate Josh Hinger in the final of both divisions. Hinger beat Cornelius in the heavyweight no-gi final yesterday, and Keenan repaid the favor by winning in both the gi finals today. Keenan had 10 matches in total today. In addition to the matches with Hinger, Cornelius faced off with Arnaldo Maidana and Daniel Hampton in the heavyweight division and Wellington Peroto and Nicollas Araujo in the absolute. Dany Gerard, also of Atos, let Keenan pass in the semifinals of the absolute.